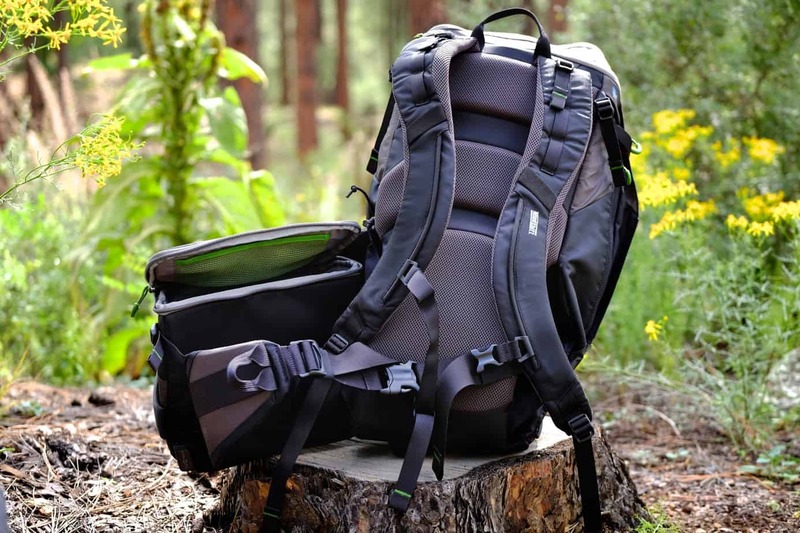 The backpack, as unassuming as it is, might be the most commonly used piece of outdoor and travel equipment. Who hasn’t owned at least one? I know I’ve owned far more than qualifies as reasonable because, like many of you, I’m an unabashed backpack junkie. 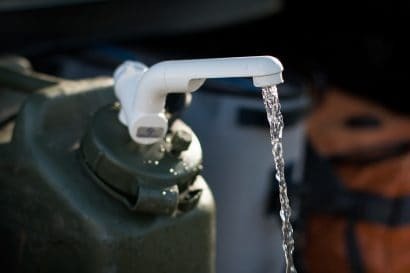 Miir is best known for their highly refined line of insulated bottles as well as their amazing philanthropic projects which bring drinking water, bicycles, and educational opportunities to people throughout the developing world. For that reason alone I would wholeheartedly recommend you add a Miir 25L Commuter to your inventory. If not for the feel-good factor, buy one because it’s a fantastic product worthy of your hard won money. Constructed of water resistant and durable 630-denier nylon with PU coated zippers and a weather-thwarting roll top closure, the Commuter is a no nonsense pack for all conditions. 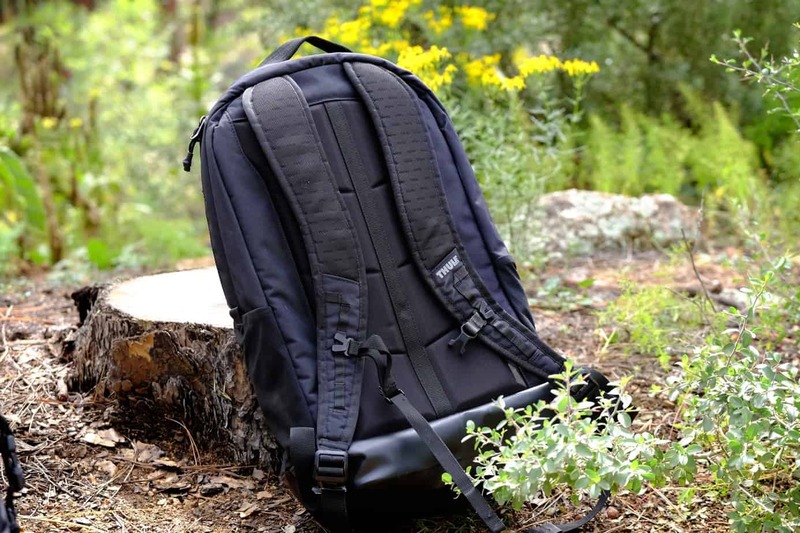 Designed for urban adventures, it has a padded laptop pocket and smaller compartments for daily carry items like chargers, power packs, and other essentials. 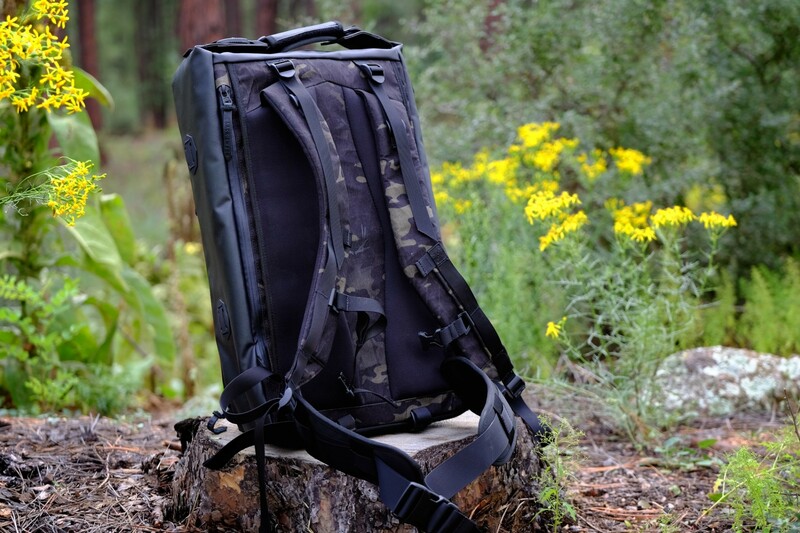 Unlike most roll top packs, the main bag can be accessed quickly via a weatherproof PU coated zipper. With no bulky padding on the back panel, but well shaped shoulder pads, there is a spartan minimalistic elegance to the Commuter. I also like how the log vertical zipper on the back panel affords instant access to the laptop sleeve. Dual side pockets help keep things organized. Simple. Clean. Cool. When I first saw the Arkiv system four years ago, I knew I had to make it mine. When I saw the price, I knew better than to let my wife see my credit card bill. It’s a ridiculous amount of money for a backpack, but then again, it’s more than just “a” backpack. It’s many packs and bags in one modular system. 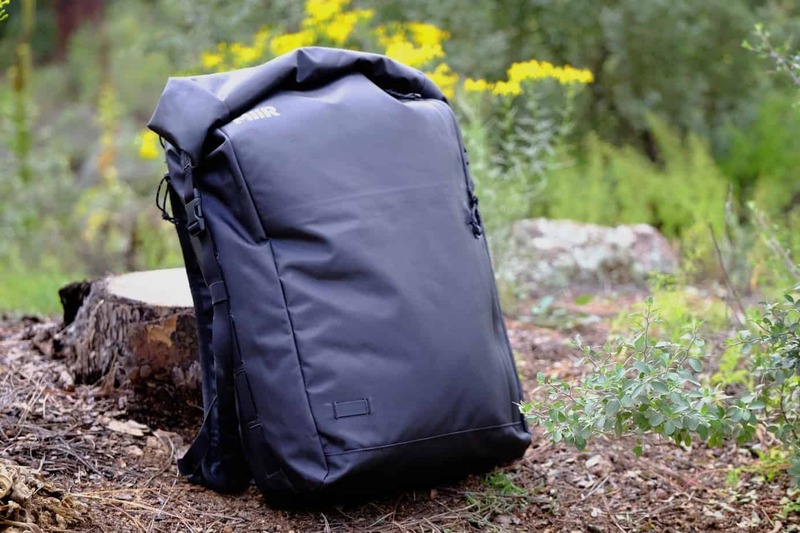 The main pack bag is constructed of an outer layer of waxed canvas with a completely waterproof nylon liner. The main opening can be used as a roll top or with the flap folded over and secured with a large buckle. On the exterior are six nylon “rails” on three sides. 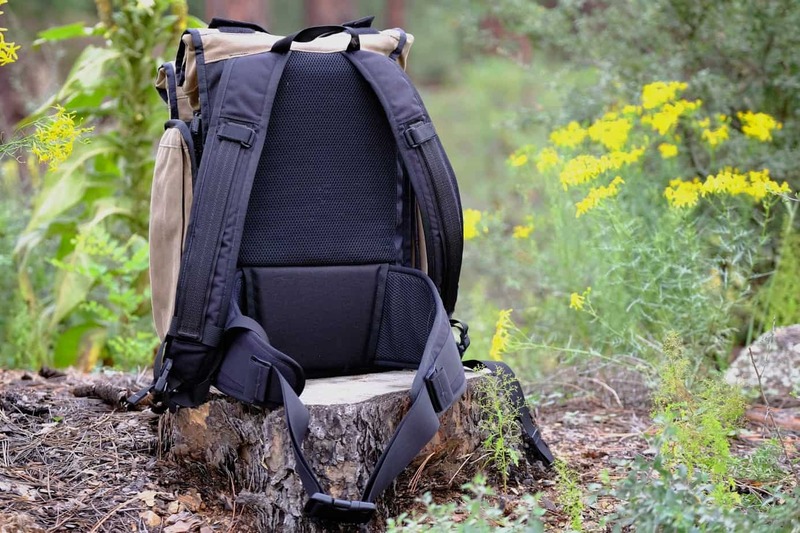 Those serve as heavy-duty attachment points for an optional laptop sleeve, side pockets, and accessory bag, all of which are built like a bomb shelter and of course––waterproof. The laptop sleeve and accessory bag can be paired to an optional shoulder strap to convert them to a single-sling bag for quick sorties to the cafe. An optional belt bolsters the carrying capacity. 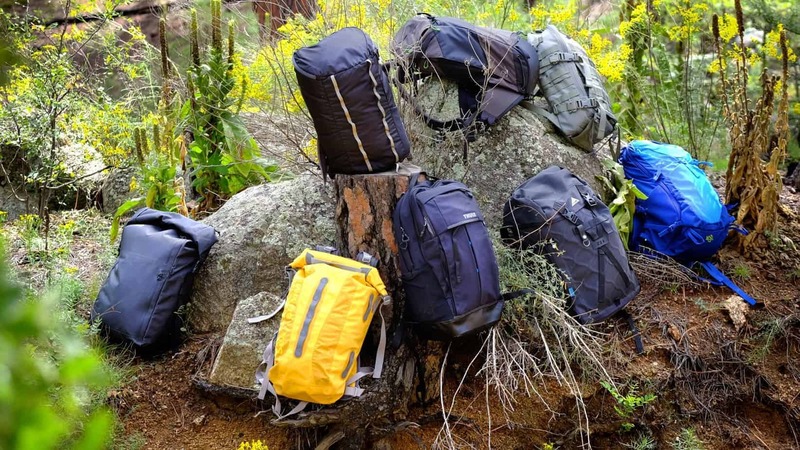 As the consummate traveler, I have searched tirelessly for the perfect pack for international forays to places that might be, shall we say, less safe than some. I’m particularly critical of my pack options when they house thousands of dollars worth of camera gear. My new favorite pack for those adventures is the Venturesafe X40. With back-panel access to an optional padded camera insert, I can get to my cameras and lenses quickly and without disturbing the other contents in the pack. The exterior is made of durable slash-proof eXomesh panels covered in ripstop nylon and the zippers are held secure with zipper locks designed to thwart opportunistic thieves. Perhaps the best security feature is the appearance. Packs that look like camera bags are essentially big “come rob me” signs. 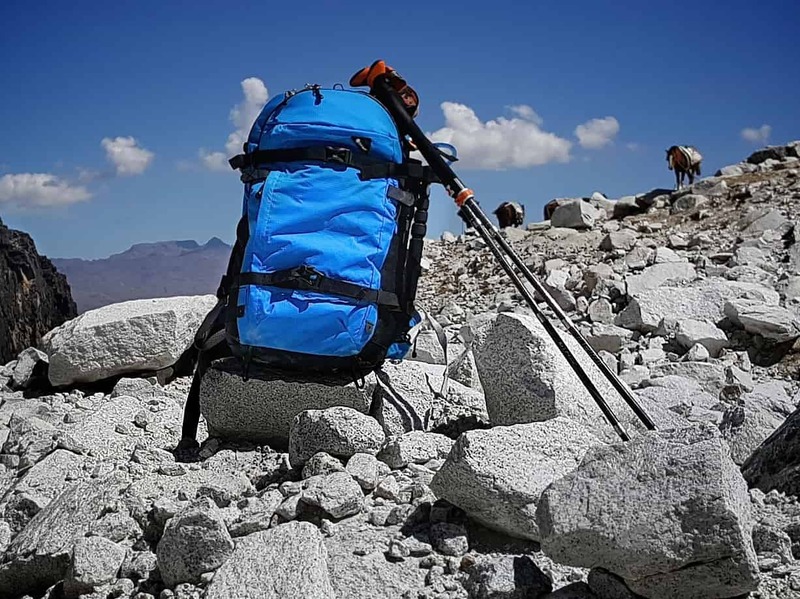 The X40 looks like any other backcountry pack and to would-be crooks is likely full of nothing more than stinky socks and granola bars. 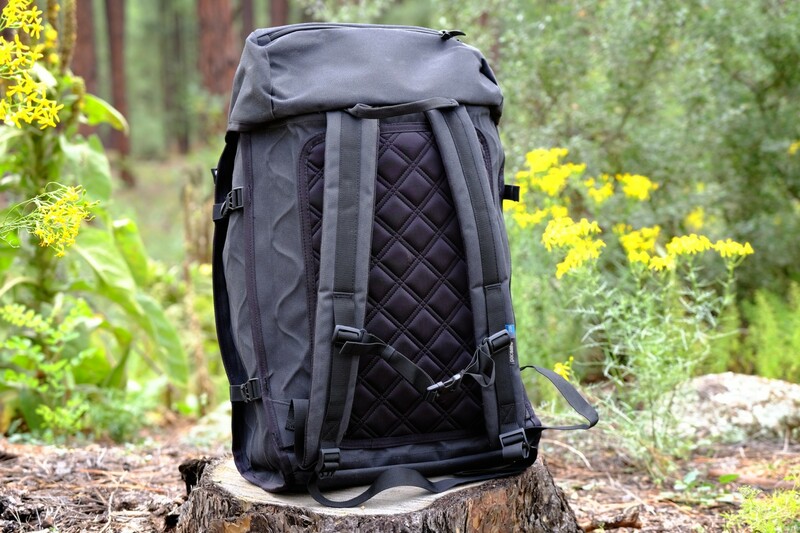 Sometimes you need a stylish ruck to shoulder around town. 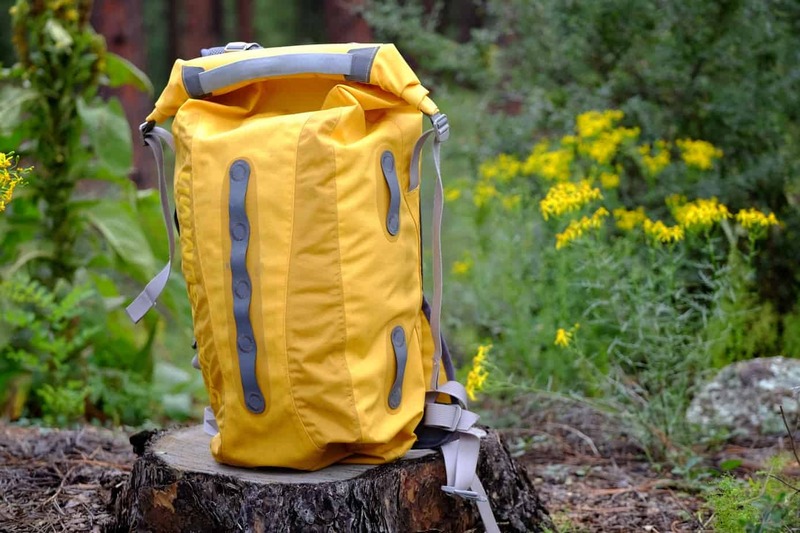 Other times you need a proper backcountry tool, like Sea to Summit’s waterproof Carve 24L Drysack. 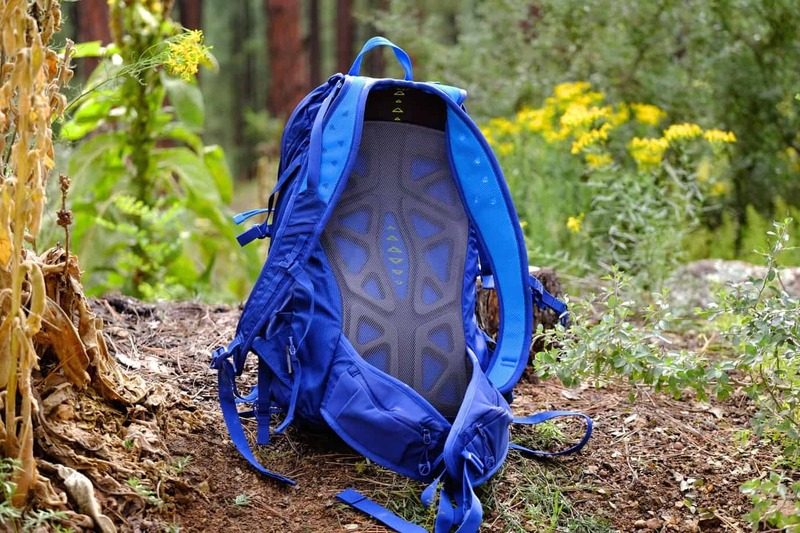 Made with TPU laminated 420-denier nylon with welded seams and a water-tight roll top, the carve is 100% waterproof. I should know. I used mine during a month-long trip to rainy Iceland where it not only saved my camera gear from endless bouts of weather, but survived several river dunkings. 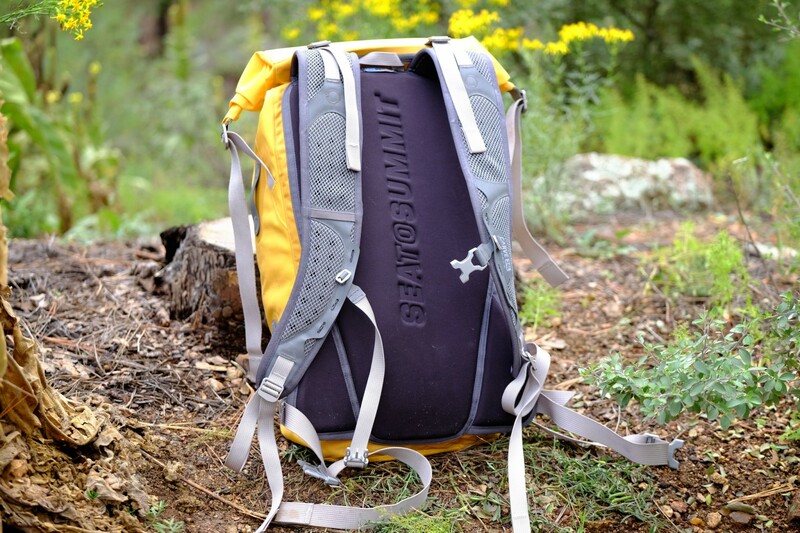 Unlike most drypacks, the Carve is actually comfortable to carry all day long, day after day. The padded shoulder straps are ergonomically shaped and well ventilated. 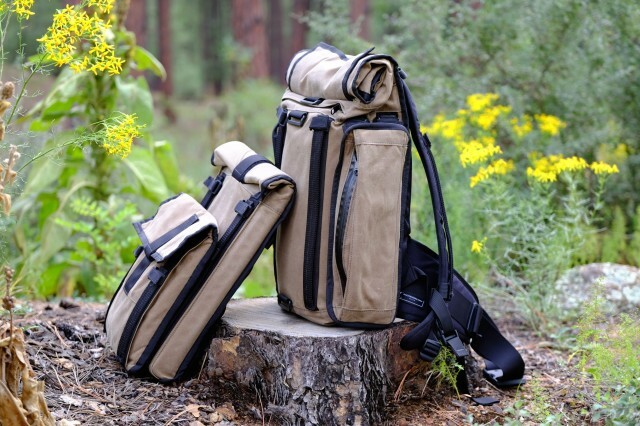 The external daisy chains provide helpful attachment points for extra gear and the zippered compartment on the back panel accepts a hydration reservoir without compromising the watertight seal on the main bag. After living out of the Carve for a month, even using it as a carry on and a float as I swam across a rushing Icelandic river, I can say with confidence, this is one pack to rule them all. 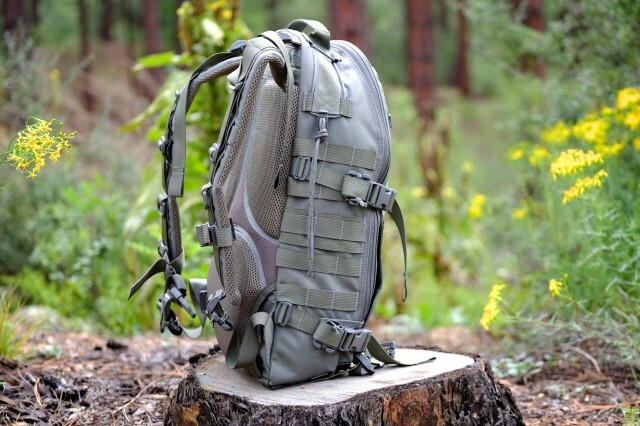 Tactical packs have become extremely popular in the last few years. While many of them are so poorly made they couldn’t survive a tickle fight, the TAD Fast Pack Litespeed is built to survive a legitimate war. 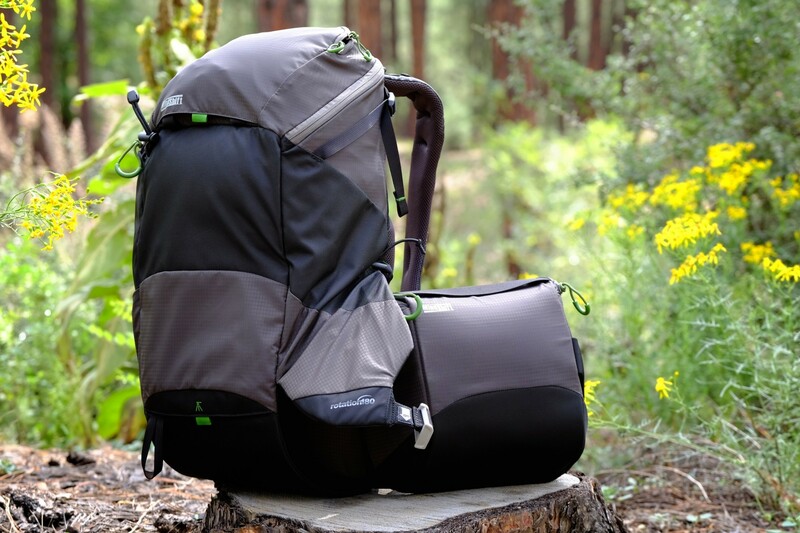 Designed and fabricated in the USA, the Fast Pack is festooned with features. For a simpleton like me, there are frankly––too many. It has more webbing, buckles, and zippers than a C-130 full of paratroopers. If you like that sort of thing, you’re in luck. Kidding aside, all of the PALS and MOLLE attachments create nearly infinite options for the user’s unique needs. 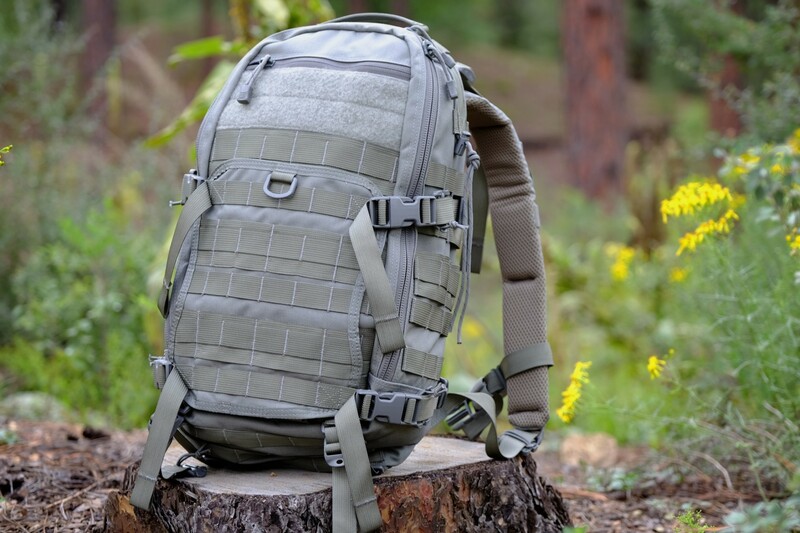 The MIL-Spec 1000-denier Invista Cordura fabric is virtually indestructible and not to forgo creature comforts, the back panel and shoulder straps are heavily padded and clad in wicking mesh fabric. An external beaver tail flap helps secure oversized items and pockets on the interior and exterior panels help stow small items. I’ve been a longtime Thule user, but like most people that includes only the use of their roof racks and cargo boxes. 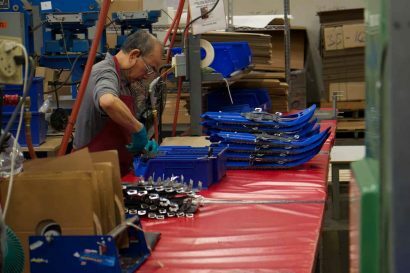 When they purchased the well established Case Logic brand, their entry into the pack market was inevitable. 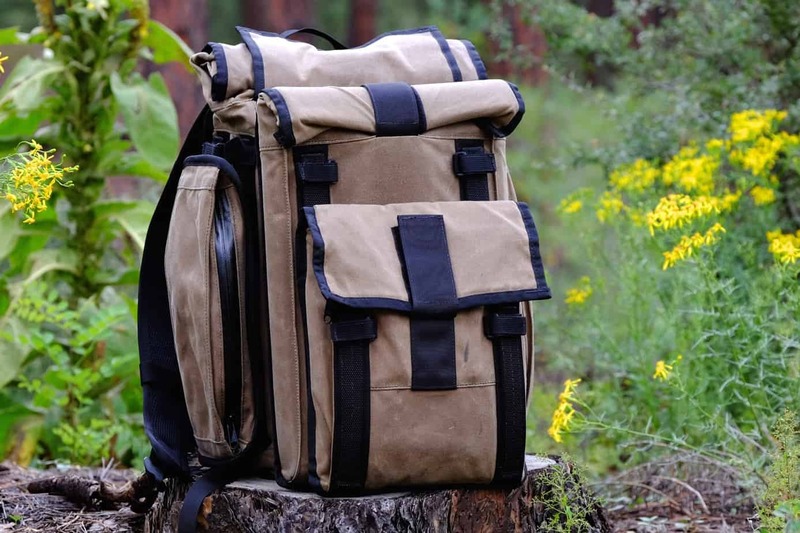 The Paramount 27L is one of their top entries in the urban, daily carry segment. 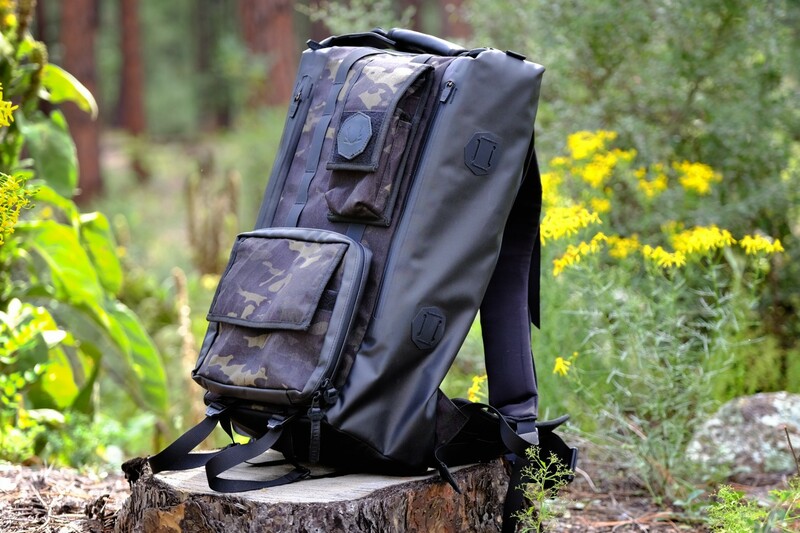 With a clean exterior aesthetic, the inside is surprisingly complex with an intricate and well designed system of pockets and padded sleeves for laptops, tablets, and a vast assortment of electronics and accessories. A lay-flat exterior pocket expands to accommodate bulky items and the padded back panel is quite comfortable for all day use. 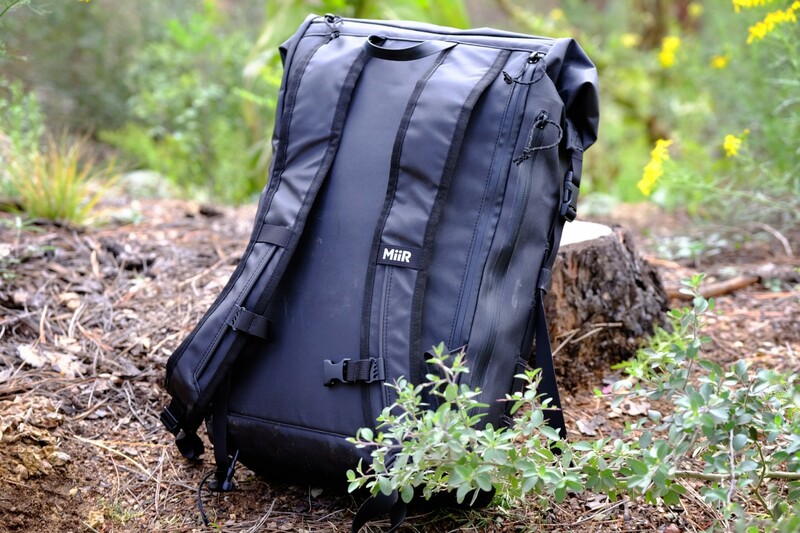 As a product evaluator, I try to maintain my objectivity, but I have to say––I love this pack. Sure, the multi-cam color scheme makes it a little hipster trendy, but that might be what I like about it. Some might be fooled into thinking this is just a fashion forward city pack, and I suppose it is, but it’s also as technical as any pack in this roundup. 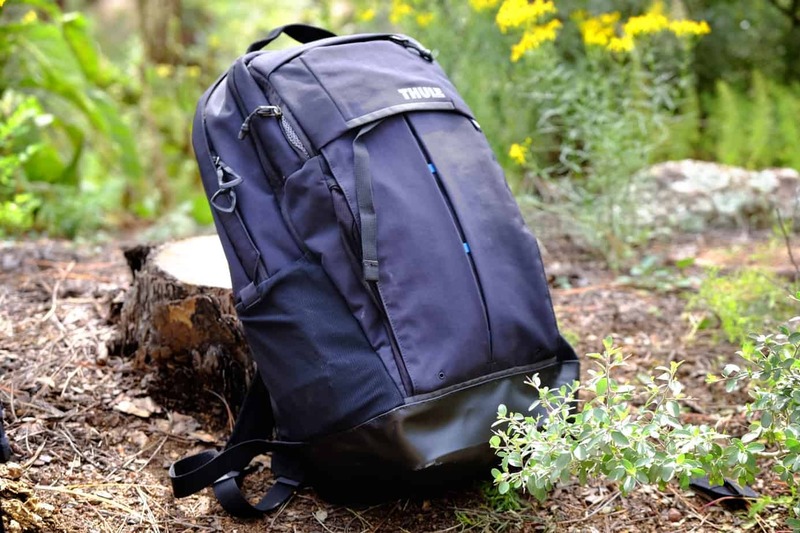 Made of 500-denier Cordura laminated to an X-PLY sailcloth liner, the fabric of the TL3 alone is impressive, but it’s the hardware that won me over. Aside from the multiple waterproof PU coated YKK zippers, the top handle is secured with a self-attaching Mag-Lock buckle. Maybe I’m easily entertained, but I love snapping that buckle closed. Everyone that plays with it is equally amused by it. 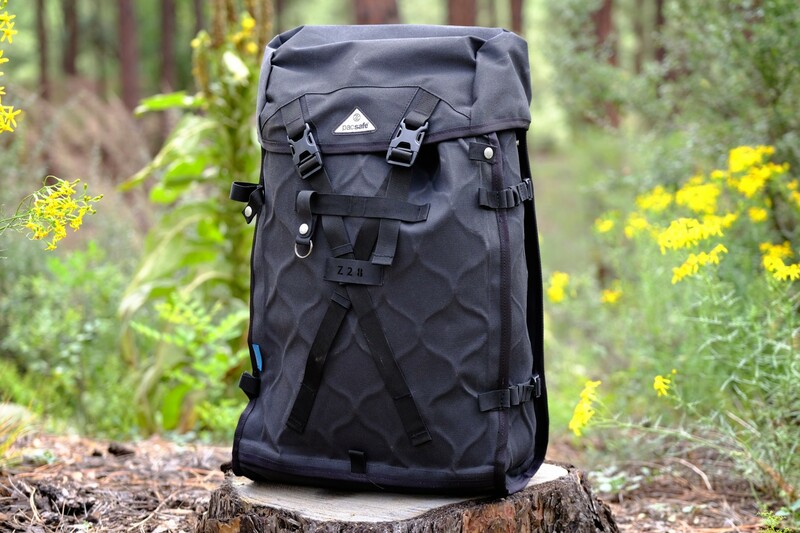 Originally designed as an ultra-light summit pack, this has become one of my favorite travel accessories. Soemtiems I just need a little bag to wear into town to hit the local market or maybe to tuck under my seat on a long plane flight. 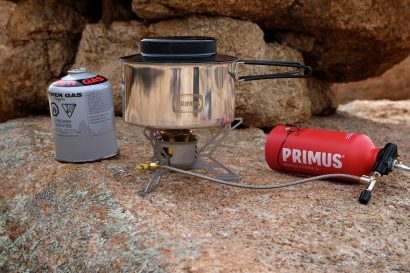 The Summit Lite 25 weighs just 11 ounces and packs into its own lid pocket. The contoured shoulder straps are comfortable for light loads and the dual daisy chains add extra attachment points for extra gear. People love to document their travels. 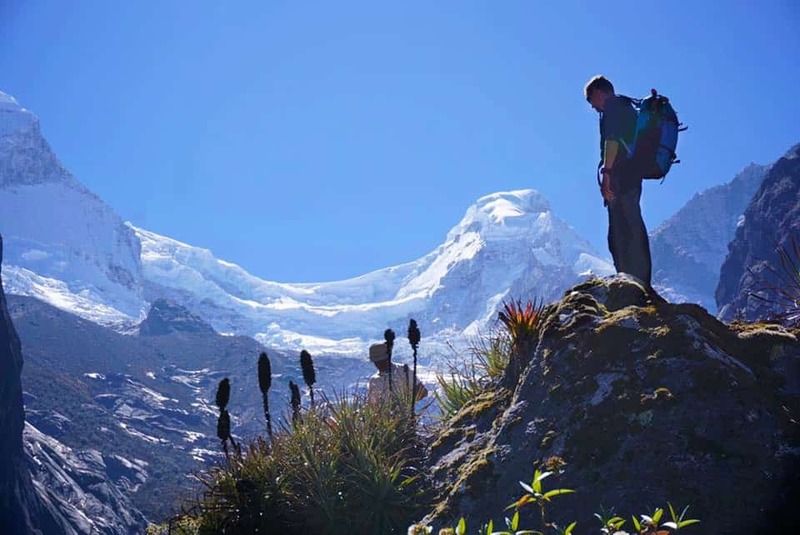 The quality of imagery being shared within the travel world has become astoundingly good. Whereas the point and shoot was once the preferred tool for capturing fleeting moments, many people, myself included, are traveling with a full compliment of camera gear. This has led me on a search for packs appropriate to the task of properly protecting camera gear while still making it accessible. 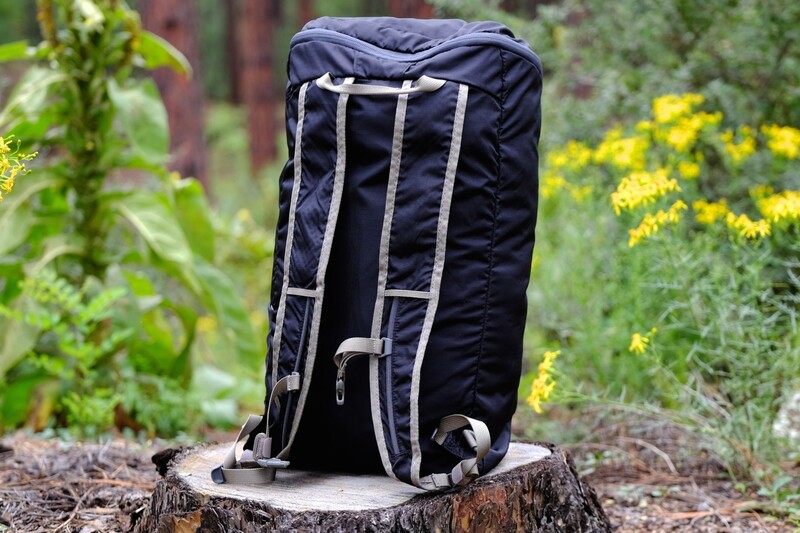 It also helps if that pack has additional storage volume for all the other necessities that need to be brought along. 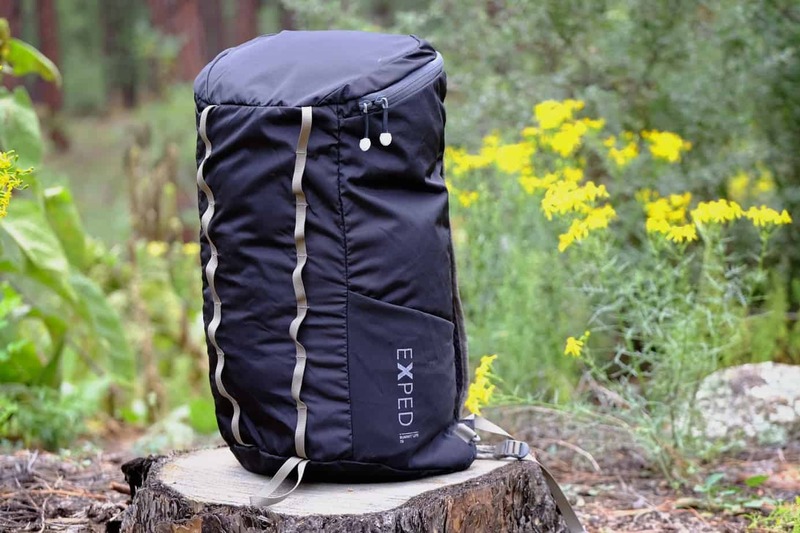 At just over a hundred bucks, this is one of the better valued packs I have tested. 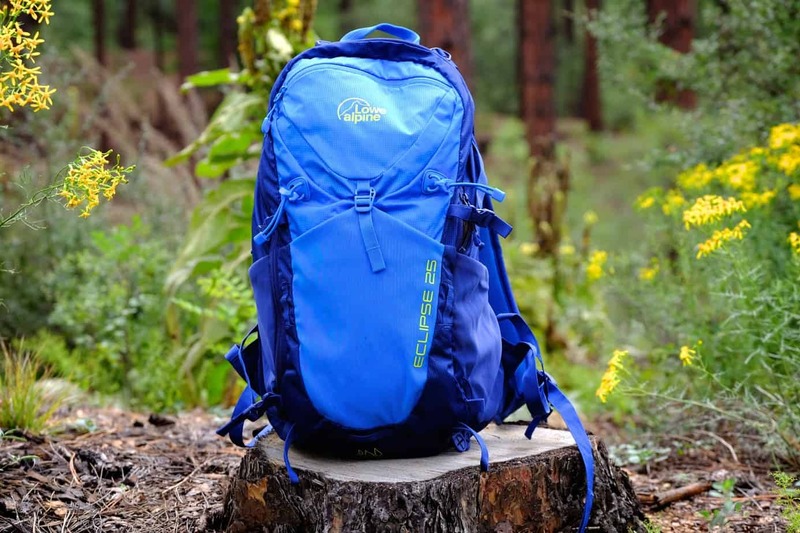 Lowe Alpine has always offered good bang for the buck and the Eclipse 25 is no exception. 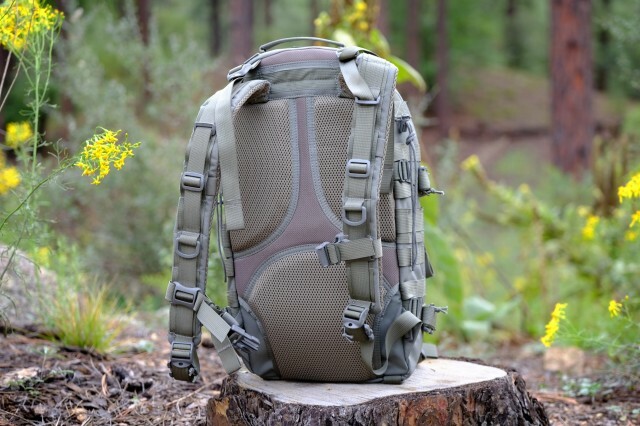 With similar panel-loading pack access as offered by many packs it also has a top security pocket, stretch back panel and side pockets. It even has twin pockets on the waist belt and a padded phone pocket on the shoulder strap. As one prone to travel to less developed and perhaps unsafe parts of the world, having a pack that protects my camera gear and personal items, is important. The Z28 is effectively a soft vault. Reinforced with PacSafe’s proprietary stainless steel mesh, it is virtually impossible to cut through the outer fabric. It would require a knife and cable cutters. Okay, not impossible, but unlikely unless your would-be thief is prepared for the operation and has ample time.